Browsing through the books section in a local charity shop recently, I came across an almost complete set of Encyclopaedia Britannica being sold for a tenner. It made me nostalgic for my youth when my mum would save up to buy one volume every few months from the travelling encyclopaedia salesman. We never achieved anything close to a complete set of the books because as far as I can remember, they were ruinously expensive back in those days and I suppose my mum thought that though a little knowledge might be a dangerous thing, it was better than no knowledge at all. So I guess she invested what she could in what she saw as an addition to her children’s education. How the world has turned and transformed beyond recognition in the past fifty years, especially the world of communications and information technology. Radio Telefís Eireann began transmitting programmes for the first time in 1960 which heralded the start of radical changes for our small, inward-looking island, the same year that Andy Warhol said that in the future everyone would be world- famous for 15 minutes, or have ‘their fifteen minutes of fame’. Was Warhol foreseeing the future of celebrity culture, reality television, and people as ‘brands’ or was he just very in touch with the electronic revolution that had begun to take place? 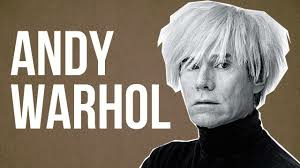 Andy Warhol himself got much more than fifteen minutes of fame. Certainly, there were plenty of commentators analysing and reporting on the fundamental changes taking place in the field of communications. Marshall McLuhan, whose slogan was ‘the medium is the message’ predicted the World Wide Web 30 years before it was invented. In The Mechanical Bride, his pioneering study of popular culture, he advanced the concept of ‘the global village’, essentially foretelling the unprecedented transformation of telecommunications. This prophecy came to pass, but the effects have not always been positive. In The Third Wave, his seminal study from the 1970s, Alvin Toffler described the ‘electronic frontier’ of the Internet, as well as predicting the creation of YouTube; the invention of Prozac; the demise of second wave manufacturing and the rise of third-wave ‘knowledge workers’. He got some predictions spectacularly wrong with forecasts of underwater cities, family spaceships, and paper clothes, although hilarious as they may sound now, who can tell whether they will become commonplace in the unknowable future? Of course, a long line of novelists from HG Wells and earlier have also written about the threats and triumphs of technological growth, with Aldous Huxley’s Brave New World (1931) and George Orwell’s Ninety Eighty-Four (1949) predicting many of the more negative aspects of today’s world. Huxley warned of the dangers of pursuing consumerism and productivity to the detriment of culture, while Orwell foresaw the lack of privacy or how the very computers that provide users with information and entertainment are simultaneously ‘spying’ on individuals with cookies accessing information from browsers to store personal information such as location, spending habits, lifestyle choices, peoples' likes and dislikes as well as those of their ‘friends’. The Internet, which is up to now the culmination of all previous technological advances, began as a military network for computers to speak to each other. In the late 1970s and early 1980s, embryonic bulletin board systems were the forerunners of electronic networks such as Yahoo and Amazon. The 1995 platform www.classmates.com was a direct predecessor of Facebook which began as a social platform in 2004 with platforms such as Friendster (1997), LinkedIn (2002) and Myspace (2003) rising or falling in the interim and with them the birth of the phenomenon known as ‘social media’. MySpace, one of the original social networking sites, never reached its full potential, eventually losing out to Facebook and other networks. So here we are in this brave new world of ‘always on’ ICT or information and communications technology which has given us so many more methods of communicating than ever before. Now we have Google for instant information gratification, always available if not always accurate; we have infinite Facebook feeds so we need never feel alone or unloved; we have LinkedIn to get prospective employers to pursue us, as well as Snapchat for the spontaneous selfie, and with new platforms coming along all the time we need never be bored or lacking in stimulation. But what about the dark and dangerous sides of immersion in these virtual worlds, without recourse to the checks and balances of normal, personal interaction? The selfie; art, science , or technology? Well, firstly I have to declare that I am an ardent advocate of social media, the Internet, and all things to do with connectivity. As a blogger, content writer, and marketer, I fully appreciate all of the advantages of being able to freely communicate across all platforms on the World Wide Web. Growing up in 1960s Ireland, there existed a very real sense of disconnection from wider society, reinforced by Church and State protectionist policies regarding commerce, culture, sport and social activities, so perhaps it’s no accident then that I spent much of my working life in the world of information dissemination and communications. But I can still remember the challenge, as a young library worker, of trawling through numerous reference books to help customers win the annual RTE Radio quiz. (How many daily newspapers in South Africa, anyone?). Although I loved the research and thrill of finally finding the answers, the time and effort needed to peruse the texts was arduous. And so to circle back to my opening paragraph and my nostalgia for times past, I have to admit that although the set of encyclopaedias is lovely to behold and would make a handsome addition to any bookcase, I prefer to satisfy my information needs in online format nowadays where the content is mostly accurate, current, and relevant. I’m also more than glad that we have Netflix and other streaming services now instead of the one-channel land of 1960s Irish television! Black Mirror; A reflection of the times in which we live. Speaking of Netflix, I began to watch Black Mirror, a science fiction TV series that purports to examine ‘the unanticipated consequences of new technologies’ from a dark and satirical perspective. It certainly lives up to its name, holding a looking glass to the underside of mass communications in today’s society and reflecting the narcissistic and shallow aspects to living our lives in a virtual fishbowl. That a person’s self-esteem and social worth can fall or rise on the number of ‘likes’ they receive for their social media posts or activities seems fanciful, yet there is a very real kernel of truth in this, especially for younger people. Additionally, online bullying has been responsible for suicides and extreme emotional upset; uncensored online propaganda has led to mass recruitment to terrorist organisations; people have been defrauded, blindsided, belittled and libelled by various unregulated chancers, criminals, charlatans and trolls, and even the world of politics has not been left unscathed with many commentators believing that the recent US election was lost and won on social media. Was this election campaign lost and won on social media? Talkwalker, a social media analytics company, asserts that to a large degree, the campaign was scandal-driven as opposed to issue-driven with the three main themes discussed on social media over the past year being Trump’s comments about women, his refusal to release his tax returns and Clinton’s ongoing email scandal. It claims that many people, especially younger generations rely on the quick information ‘sound bites’ from the likes of Twitter and Facebook for their political information and so clearly there is a large scope for disinformation and misunderstanding. I’m not sure how this explains Trump’s inexplicable victory but it certainly concurs with the belief of this Guardian article that asserts that Trump won because of the rise of celebrity culture and our failure to understand the link between fame and big business, see the link here, celebrity culture. Whatever the truth of this opinion, it is without a doubt that social media can be cleverly manipulated to skew, obfuscate and blur the most undeniable facts and bemuse and bewilder even the sanest of us. Internet legislation must be constantly updated. But social media, love it or hate it is here to stay and it has become the dominant narrative of the western world, influencing the zeitgeist, and the cultural and moral landscape more than could ever have been predicted. We have to make our peace with it, but we must always be on guard against the deep and murky waters of the myriad channels of information out there. This means that legislation regarding the Internet, or Cyberlaw must reflect the realities of the online revolution without infringing on an individual's right to freedom of speech. It must be constantly updated to protect children and vulnerable people; laws on intellectual property, privacy, censorship, online trading and many other areas must be clear and unequivocal; predators, pirates and online bullies must know that there is a high price to be paid for their transgressions, and overall Internet policing policies must aim to be progressive and inclusive in order to promote a democratic and safe society. Dog Tales; Shaggy and Otherwise! Tricki Woo turning up her nose at the other dogs! Published over 25 years ago and ‘given’ as a birthday present from my dog Suzie to my son, the book Best Dog Stories, with an introduction by Gerald Durrell, still holds a special place in my heart and on my bookshelf. Although the pages are yellowing and the paper fragile, I still pick up the book from time to time for the sheer pleasure of revisiting old canine favourites such as Tricki Woo, Flush, and Bunch. James Herriot’s portrayal of Tricki Woo is especially endearing and the interactions between the elderly, widowed Mrs Pumphrey, the overweight and spoilt Pekinese Tricki Woo and the vet ‘Uncle Herriot’ are classic studies in understated humour. James Herriot’s subtle prose, his wicked take on human and animal nature and his obvious affection for his ‘trickiest’ of customers should not be missed by any animal lover. Another one of my favourite doggy books is Jilly Cooper's Intelligent and Loyal. Beg, steal or borrow a copy of this if you are a fan of the humble Heinz 57 breed (aka the mongrel!). A celebration of the mongrel; the most intelligent and loyal of all! Countless canines parade across the pages of books and in films and for many the first fictional dogs that come to mind are Lassie, Eric Knight’s Rough Collie breed who performed amazing acts of valour, as well as cartoon dogs such as Scooby Doo and Snoopy. My personal favourites of the fictional variety are the naughty dogs, the silly ones, the senseless ones, the hapless, crazy characters with hearts of gold. Frank Muir’s scatty Afghan Hound What-a-Mess, Eddie in Frasier, Gnasher in The Beano, Santa's Little Helper in The Simpsons; I can’t dwell too much on these for fear of filling twelve pages with favourite fictional dogs and why I love them so much! Then there are the dogs whose stories are told in a semi-fictional, semi-factual way like the hilarious and poignant story of Marley and Me, ‘the worst dog in the world’ by journalist John Grogan. Marley's 'biography' made me weep with laughter throughout and then cry tears of sadness at the end of the story. The dogs that really break my heart are the real life loyal hounds who never give up on their owners returning, even from beyond the grave. The latest manifestation of this was the little dog called Flash in Italy, whose owner was killed in the recent earthquake, with the dog refusing to move from beside the coffin. Greyfriars Bobby a Skye Terrier, allegedly spent 14 years guarding the grave of his owner John Grey, a night watchman in Edinburgh. Whatever the absolute veracity of the tale, it is the idea of the animal’s profound reaction to his loss that fascinates and moves. It reminds me of the raw, primeval grief expressed in Sinead O’ Connor’s version of the song I am Stretched on Your Grave. I wonder how many of us ‘civilised human beings’ have felt the urge to throw ourselves on a beloved’s grave? (even for a short time). Hachikō, a Japanese Akita showed the same sort of unswerving loyalty in 1920s Tokyo, after his owner Professor Ueno suffered a cerebral haemorrhage and died. The dog was waiting at the train station that evening for his owner who never returned and each day, for almost a decade, the dog would return to the station at the exact time the train was due, to sit futilely waiting for the professor. Each year on April 8, Hachikō's devotion is honoured with a solemn ceremony of remembrance at Tokyo's Shibuya railroad station where hundreds of dog lovers often turn out to honour his memory and loyalty. It was also made into a film starring Harrison Ford as the professor. My dog Suzie was a rescue dog, the most skittish, nervous, and needy little puppy when she came to live with us in 1995. She was awkward, slightly melancholic and seemed to have a death wish; dancing across a main road when she escaped her lead in the park, swallowing an overdose of Ventolin tablets that she stole from a drawer, eating the straps off the back of my new shoes because I happened to leave her alone for a few hours; surely a criminal offence for any other dog? We had many adventures between us too numerous to mention, until the day I gave her a vigorous rub on her belly and discovered a large mass. She was brought to the vet and tests done straightaway, it was too late, she was fourteen, and the kindest thing to do was put her down. Holding her body as the vet administered the lethal injection was a very sad moment in my life. Suzie having a snooze as she got older and greyer. Impossible to find a photo of her younger self where she's standing still! The loss of a pet is devastating and people may take comfort in a concept such as the Rainbow Bridge, where deceased animals await their owners in a mythical green field on the other side of the bridge. After the owner’s own death, the theory is that the two are reunited. I take a more pragmatic view of the process, although I sincerely hope that dogs and humans have souls and have an afterlife gambolling freely in the long grass with as many doggy treats as they can tolerate (the dogs that is! )and the humans get to enjoy a spirited afterlife also. I have consoled a friend by celebrating the life of her deceased dog drinking strong whiskey with her at the ‘wake’ and stayed up all night with another friend holding vigil when his dog was dying. These are the practical things that animal lovers do for each other. So when exactly did domestication of dogs take place, taking the dog from wild beast to furry friend? Scientists are unclear about the exact origins of the domestic dog but it seems likely that they are descended from the gray wolf. Although the oldest canine fossils found are only 14,000 years old, it has been suggested that the species parted ways anything from 15,000 to over 100,000 years ago. Whatever the case, it is indisputable that dogs are the oldest of the domesticated animals and certainly the most devoted, fulfilling roles from the fiercest of guard dogs to the cuddliest of companions. Clever, loyal, and constant, these animals are as deserving of our devotion as we are of theirs. Apart from being able to distinguish words, dogs can also identify intonations of speech, according to recent science. As if the dedicated dog lover didn’t already know this! Clever boy, or girl! Gary and Paul O’Donovan may have had more to celebrate than winning the first ever silver medal for rowing for Ireland, in the Olympics. Their spontaneous and guileless interviews became what’s commonly known as an ‘Internet sensation’. Essentially, this means that they achieved what some would say is the dubious honour of trending on Twitter, featuring heavily on Facebook and being discussed on countless websites and other media. Over-exposed and commercialised: the dubious honour of being an Internet sensation? This is a PR & Marketing executive’s dream come true, the vast amount of ‘exposure’ for their clients, leading to untold deals, sponsorships, and most of all, the mighty dollar. With the awesome ‘leverage’ this would precipitate, the lads could be in clover forever. But with their clear passion for their sport and absolute integrity and straightforwardness shining through, I doubt that this is at the top of the list of priorities of the O’Donovan brothers. But there was richness beyond compare with what the papers, online and otherwise had to say about their accents. I had great ‘craic’ as Gary might say, reading the reactions of worldwide media to the interviews given by the brothers. The reports were mostly written in a respectful if somewhat wry style, with a heavy emphasis on the light-hearted approach! But it’s the comments of the readers that I always mine for comedy gold and on this occasion, I struck an unintentionally hilarious seam. The Huffington Post, for example (click), was a true treasure trove with readers demanding subtitles to interpret the interviews, Irish people offering up ‘translations’ and still others asking ‘what dialect are they speaking?’ So basically you could say that there were a load of eejits on that site who didn’t know their arse from their elbow, but yerra in fairness, I’d say most were there expressing their goodwill and hearty congratulations. Much as I love Gerard Butler, his irish accent was dire in 'ps, i love you'. ps, you might need acting lessons, ger! I have always loved accents and strangely, even though I am genuinely tone deaf when it comes to music, I can have a good shot at guessing what part of Ireland or even Dublin someone is from, based on their accent. Of course, some counties are easier to recognise than others and being from the Limerick/Kerry border region myself, the counties of Limerick, Kerry and Cork pose no bother to me. If you ever want to ‘hear’ the lilting music of a West Limerick/North Kerry accent, just read any of the works of John B. Keane, a man who lovingly and faithfully reproduced the nuances, cadences, turns of phrase and speech rhythms of his home place. After many years away from that ‘neck of the woods’, I am told that I have a very neutral accent, what used to be dismissed as a Civil Service accent or what some would call the product of a convent school education! Be that as it may, I’m frequently asked what part of the country I’m from as I’m clearly not from the capital. Speaking of Dublin, a limitless variation can be found in the accents here. Think of Bono, before he became a bit Americanised, as the owner of a posh Northside accent and Sinead O’Connor, before she did most of her ‘talking’ on social media as having an uppity Southside accent. In between these county boundaries, is a veritable cornucopia of pronunciation and speech patterns. A student of sociolinguistics might be able to tell us why this is so but what really matters I think, is the diversity and colour that the varying accents add to the cultural mix. And from latter-day Ireland, across the centuries and the oceans to Newfoundland, where an enclave of immigrants, mainly fisher folk from Co Waterford, settled in this corner of Canada from the late seventeenth century onwards. In their battle to retain their sense of identity they held on rigidly to their religion, culture, music and especially their accents. It is truly remarkable to watch documentaries about the Newfoundland Irish and to hear the almost unadulterated Irish brogue, and observe their step dancing routines and sean nós singing replicated from their homeland, at their social gatherings. Which brings us back full circle to West Cork, from where many ‘slaves’ or ‘indentured servants’, depending on your point of view, were transported to the West Indies, also in the seventeenth century. It has been asserted that the entire population of the village of Baltimore were among those who were forcibly transplanted. Whatever the historical reality, it is true that the melodic West Indian accent owes much to the linguistic influence of these early, reluctant settlers, who became known by the disparaging term ‘Redlegs’ and whose history has yet to be properly documented. So in this age of globalisation, generic blandness and assembly-line sameness, I’d like to applaud Gary and Paul O’Donovan for their talent, their authenticity and their self-belief. They could easily have succumbed to the temptation to speak in modulated and moderate accents so as not to risk the incomprehension of the mainstream media where they would inevitably be evaluated. Instead, the proud young men from West Cork gave a metaphorical finger to the mediocre. I suppose if you’re strong enough to win an Olympic medal, you’re strong enough to embrace your own culture, especially when that ancient culture has helped to shape the communication skills of a large portion of the world’s population. As the youngest of a large family, I was surrounded by plenty of boisterous company when I was a little girl. But every Thursday, all the fun and games stopped, and a strange silence fell over the rooms, with an implicit ‘do not disturb’ sign on every door. Thursday was the day my mam came home from town armed with a week’s supply of comics, and a shopping bag full of packets of Yorkshire toffee and rum & butter bonbons. So the only thing breaking the silence was the sound of contented chewing as the exploits of the Four Marys, Dennis & Gnasher and other characters in ‘Bunty’, ‘Judy’, ‘Dandy’, ‘Beano’ and ‘Hotspur’ were devoured along with the sweets. I hated just looking at the pictures in my little comic ‘Twinkle’ and I became determined to find out how the mysterious letters joined together to form words, so that I could join in the fun of reading. I knew the alphabet, but couldn’t manage to break the code of how the symbols created the words, until one day, my finger haltingly tracing the letters, I had my ‘eureka’ moment and it all became clear. That was the day my love affair with words began when at four years of age I learned to read. This gift has been my solace, my joy, my liberation, and my inspiration ever since then, and I have had the privilege of working in various careers where I could use my passion for reading and writing to sustain me both intellectually and emotionally. One of the greatest delights of the written word is its ability to change and evolve, reflecting the nuances and social mores of particular eras. I think idioms, clichés & acronyms are a sound measure of contemporary culture and social climate. It seems that nautical sayings, for example, were historically very relevant to the island nations of Ireland and the UK, and still retain their relevance today, mostly because they’re fun and usually very apt! When you think about it, an inordinate number of idioms relating to ships and seafaring are still in use. If you and your friends go out on a Saturday night, for example, shake a leg, push the boat out, then stagger home three sheets to the wind, you’re using nautical idioms. If, while you’re on the town, you spot a likely looking lad and tell him, ‘I like the cut of your jib’, well hello sailor, it’s another nautical idiom. The acronym POSH – port out starboard home – can mean an uppity person as well as a super skinny former Spice Girl, while the term broad in the beam refers to the majority of us with a bit more meat on our bones. Many people will have read journalist and broadcaster Bernard Levin’s On Quoting Shakespeare, a poster of which was commissioned by Shakespeare’s Globe Theatre. Although it is debatable whether Shakespeare coined all of these phrases, with some being attributed to the works of Chaucer and earlier, what is undeniable is that the words survived due to the mass appeal of the Bard’s output and indelibly influenced the English language as we use it today. We tend to think of acronyms as a concept of the 21st century, with the advent of texting and ultra-fast communications. In fact, as an entertaining article on www.mentalfloss.com points out, acronyms date back 2,000 years to Roman times and were very popular during the war years in letters between soldiers and their sweethearts back home (or WAGs as they might be known nowadays). You can find some charming, and some very cheeky farewell messages from that era on the site. Apologies in advance for introducing you to E.N.G.L.A.N.D! Getting back again to when I was young, LOL used to mean lots of love at the end of a letter or note. My friend stubbornly continues to use it in this context even though she is well aware of the laughing out loud current reincarnation of the acronym. All very well sticking to her principles until she sent her condolences and put LOL at the end of an online death notice; be assured that the deceased’s family weren’t laughing out loud at her sentiment, although they saw the funny side eventually. And so, to use a well-worn cliché, I want to hammer home my point that although some terms and phrases are enduring as well as endearing, the majority are rooted in their own era, and should remain so. Does anyone really use the term YUPPIE any longer, wouldn’t people think you were strange if you exclaimed ‘NIMBY’ in protest at a perceived threat to your lifestyle, or if you tried to register disbelief and distaste by proclaiming GUBU. Oh, I could go on and on but YOLO and since this is a blog post and not a dissertation on the English language, I have G2G. I was going to write my first blog post for The Write Way discussing whether creativity and business acumen are mutually exclusive, but then I decided there was time enough for that and now would be an ideal time instead to introduce myself. So, my name is Betty and I think I may be suffering from Victor Meldrew Syndrome (VMS). According to The Daily Mail (that bastion of erudite reporting and towering intellect), VMS mainly affects men over the age of 50 and manifests itself as a dour lack of humour and a particular detestation of yobs and teenagers. I beg to differ, I think the syndrome equally affects men and women, age is irrelevant, and the main symptoms are, not so much a lack of humour, but a profound lack of patience and a tendency to glare like a snake about to strike, at people and things that annoy you. Glaring like a snake, sure why wouldn't you? I began to make a list of the people and occasions that brought on a bout of my VMS, but there wasn’t enough time in the world….people who cough into your face without covering their mouths, people who park themselves beside you on the bus, an inch from sitting on your lap, their thigh fitted snugly against yours; people in public places screaming at fever pitch into their mobile phones about the drab details of their daily rounds; Stephen Fry and his ridiculous acolytes on the preposterous QI; loud parenting people who shout monologues at their stunned kids in the supermarket ‘beans, you know, are a member of the legume family George’; same kids on scooters at the supermarket skimming adult shins; women driving cars, simultaneously putting on makeup and texting; cyclists on the pavements almost colliding with people in wheelchairs, screaming abuse when you protest and then cycling off with their middle finger proudly erect…….as I said, there isn’t enough time in the world. Mobile phone etiquette or the lack of, can send me into victor mode. What my list taught me though is that there is a pattern, indeed a natural rhythm, to the causes and circumstances of my spells of ill-will; people displaying a basic lack of good manners and an ongoing erosion of civility. Now, while my list is limited to my encounters in public places and only takes into account ‘first world problems’ – (I may be being ironic here as jargon and slang have been known to set off an episode of my VMS), it is nonetheless a valid list for the purposes of this post and there will be ample blog posts to come, detailing my infinite list of gripes, from my aversions to jobs worthy government officials to the falseness of ‘reality’ television shows. Anyway, I digress. Where once we may have turned to a God for enlightenment and guidance, we now turn to Google, and so I began to search for a way of alleviating my symptoms and finding a way of living cheek by jowl in this modern day menagerie. I found myself knee deep in online pages of ‘inspirational life quotes’, bogged down in less than memorable memes about ‘life lessons’, and frankly repulsed by some of the more saccharine sayings. One particular piece of philosophy, courtesy of Og Mandino, caught my eye though, which advised treating everyone you meet as if they are going to be dead by midnight, treating them with all the care, kindness and understanding that you can muster. I have to admit to liking some inspirational sayings, all the same! This struck me as a revolutionary concept and as I walked along James’s St in Dublin the next day, I was determined to put this into practice, to curb my impatience. So I smiled serenely when I was clipped by a pushchair driven by a phone-distracted parent, I turned the other cheek when a shopkeeper coughed straight into my face, droplets of phlegm hanging like tiny diamonds between us in the air, and I maintained my composure when a drunk guy missed the mark and peed a river of urine on my new shoe. Continuing on my personal odyssey that day, I mused about my breakthrough in human relations, my new found ability to empathise and understand. Well, you can guess what happened next. The red mist came down and I screamed ‘Oh God all-mighty, I don’t belieeeve it! Unbeelieevable! What in the name of bloody hell do you think you’re doing? In the name of sanity, you must stop…’. On and on I went, dragging out every Victor Meldrew idiom in the book, whilst simultaneously shaking my fist, stamping my foot and getting ever-more purple in the face. The lads took flight, scurrying off on their bicycles, with only a smell of burning rubber and a palpable sense of terror left behind. Perhaps they feared that they were going to be dead by midnight. I went back to my old ways, where I will leave you, tongue- in-cheek, to ponder this ‘inspirational life quote’ from Victor Meldrew himself, until we meet again. Victor Meldrew: Mirror image of your life really, isn't it? Car journey on a bank holiday. First fifty-odd miles on the go all the way - a sense of direction - bowling along. Get past sixty, everything slows down to a sudden crawl and you realise you're not going anywhere any more. All the things you thought you were going to do that never came to anything. And you can't turn the clock back. One way traffic just gradually grinding to a complete halt.